Canary Islands are not only the sea, beaches and cocktails. They are also the charred history of this part of the earth, the fire-breathing vents and salt mines. 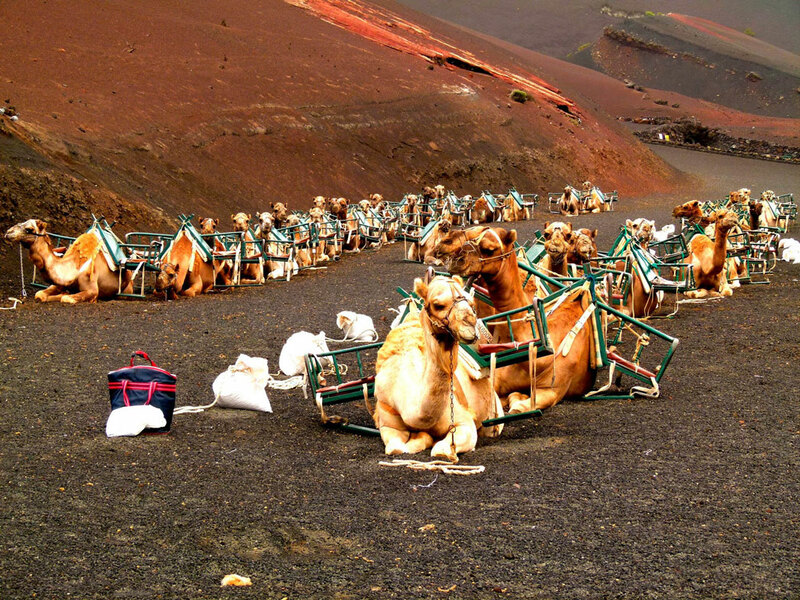 Especially hot temper among the rest of the islands, the land of Lanzarote is famous. Earlier on this land, volcanic eruptions occurred with an enviable regularity. Now, here tourists go to see the power of fire and magma and even look into the "underworld". The horror experienced by eyewitnesses of the fiery performance is known from the records of a certain priest who refused to leave the troubled land even during an intense eruption. He carefully recorded what was happening around. Among his records there are testimonies of how the earth was splitting and mountains were rising on an equal place, as lava was burying villages and towns and about how with a terrible crash, hissing and sparks the hot interior of the earth met with a raging ocean. 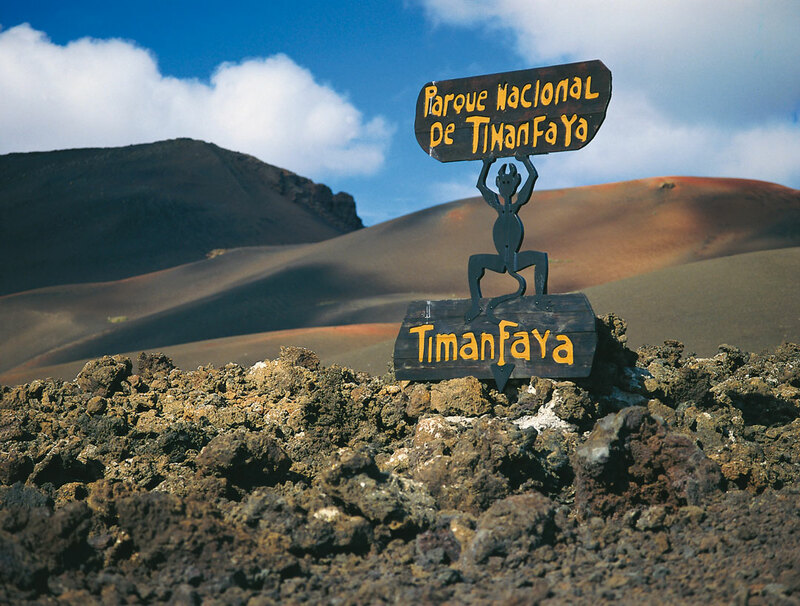 The chronicle tells that the inhabitants of the village Tinajo, among the raging elements, conducted a religious procession, installed a cross on the path of the lava, and that miraculously stopped short of reaching it. Then the grateful villagers erected a chapel in honor of their new patron Virgin Virgen de los Volcanes. 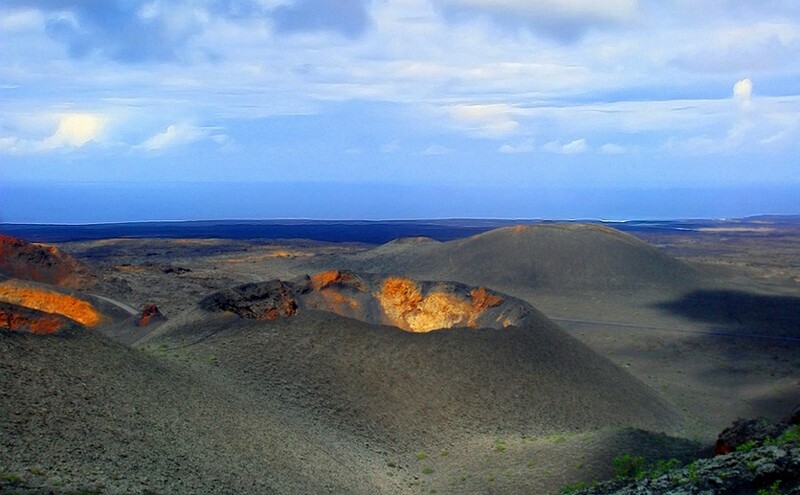 However, the island Lanzarote is capable of capturing not only its fire-breathing park. Due to volcanic activity, caves were formed here, which are still being investigated by scientists. There is also a fortress on the island, which once served as a defense pad for pirates and a castle. In it from time to time the work of famous artists are exhibited. For connoisseurs of flora, there is a park of cacti. There are many beaches on the island. However, some of them are quite windy.